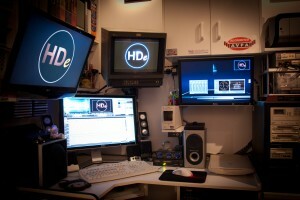 Servicing all your video production needs in Cairns & North Queensland HDeVolution has the commitment, experience and resources to deliver the results required in today’s demanding marketplace. For us video production is not just a business, it is our passion… delivering outstanding results is our aim in every project we carry out. 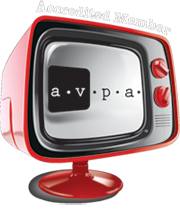 We are Accredited by the Australian Video Producers Association (AVPA) for Corporate & Special Event Video Production so you can be confident our standards are of the best available in the Industry. Vince Sofia has over 17 years industry experience in a diverse ran ge of production environments from television to the smallest domestic event. Always striving to deliver unique and contemporary products Vince stands behind the philosophy that “you are only as good as your last project” and is never content with average results. “Our clients deserve the best possible results whether it’s TV programming or a domestic function, we deliver this commitment with no compromises”. We comply with commercial, governmental & private premise obligations in holding full Public Liability cover for our operation & infield equipment. This also includes a nationally recognised “White Card” to comply with Occupational Workplace & Site requirements, & a Child Safety “Blue Card”, required by many organisations when working with, or filming minors. We also hold an APRA/AMCOS music licence that is strictly required to legally record & use commercial music as part of a domestic event. Additionally all our wireless audio systems are ACMA compliant and fall in line with the digital frequency re-stack & allocation that was effective January 1st 2015. Unlike many of our competitors, this all ensures that you, our valued client, is not exposed to potential legal & costly shortfalls in the way of fines for contractor non-compliance.